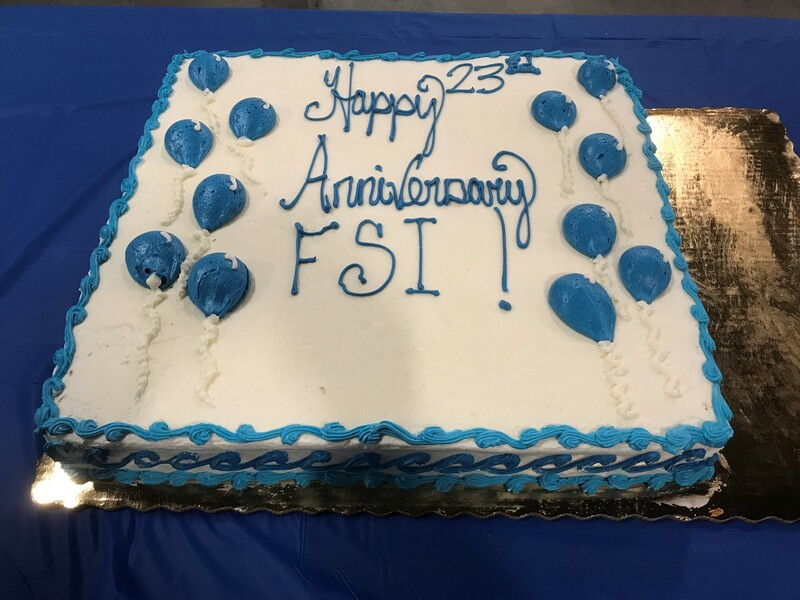 FSI Let's Celebrate 23 ! April 2019 - Austell, GA – Forrest Marbutt - It’s time to celebrate 23! No, I’m not talking about Michael Jordan or LeBron James (that’s a different question, but that answer is Jordan, of course). 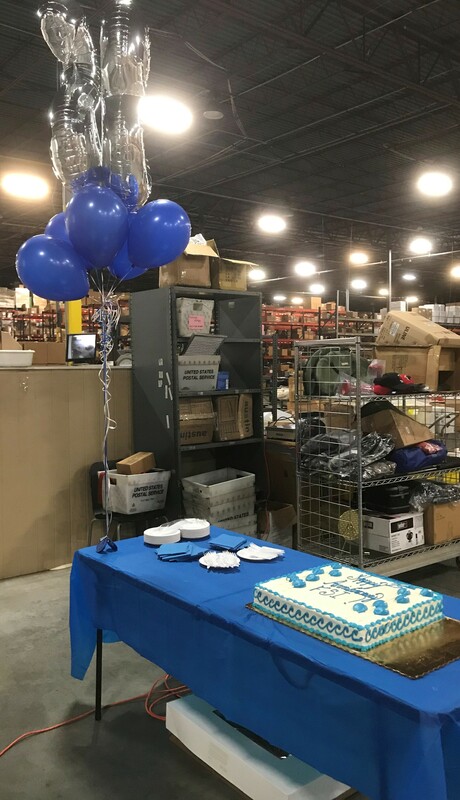 It’s no joke, but every April Fool’s Day, FSI celebrates another year in business, and this year marks our 23rd year of kit packing, pick/pack/ship, e-commerce fulfillment, inventory management, subscription box fulfillment, etc. Back in 1996, Ken Marbutt convinced his brother, Hoyt, to start up a fulfillment company. Started out in 16,000 ft² of space, and his first hire was Karen Cross who also gets to celebrate 23 years with us since she is still here. Here’s our first year anniversary pic with Karen, Hoyt (aka Uncle Hoyt), June (aka mom) and Ken (aka dad). 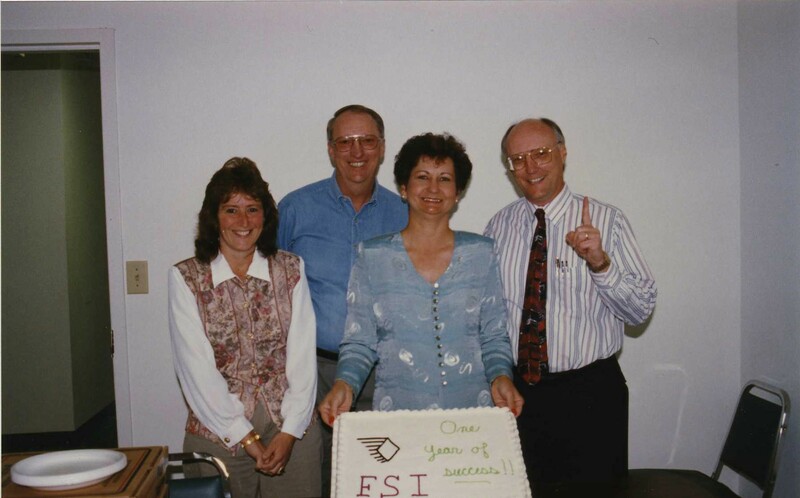 In FSI’s early days, I would work nights and weekends at FSI part-time while working a full-time job elsewhere. It wasn’t long before dad convinced me to leave my full-time job and make FSI my permanent job instead. 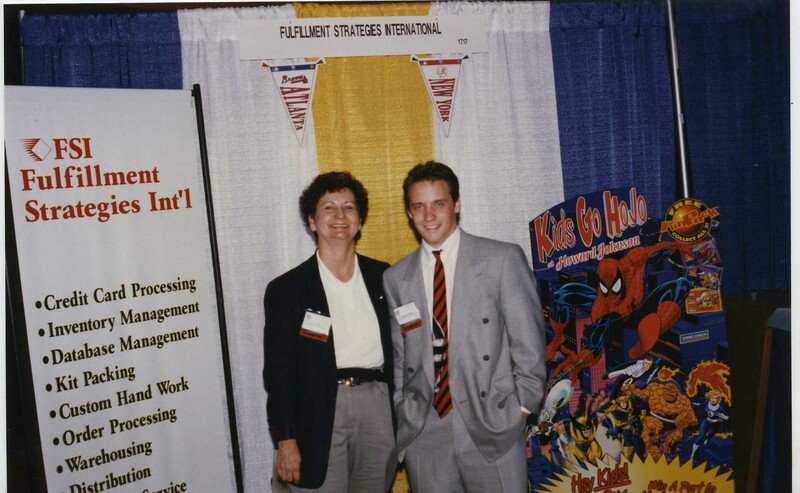 Check me out working a tradeshow before I got suckered was given the opportunity of a lifetime to join the family business. It didn’t take long before we added more employees and had to get more warehouse space. Then we had to do it again, and again, and again… Now here we are 23 years in and still going strong with 100+ employees and working out of two buildings with a total of 290,000 ft². Who knows what the future holds for our growth, but I do know that we won’t stop giving our customers the best fulfillment and warehousing experience they can get. We know that if we don’t give them the fulfillment service they need, someone else will. We couldn’t do what we do without their support. Speaking of 2 buildings, I was “forced” to eat cake twice since we had a celebration in each building. FORCED, I tell ya! I think you can see our HR Manager, Toni Merton, twisting my arm behind my back telling me I’ve got to take one for the team and eat again. #HereWeGrowAgain problems. 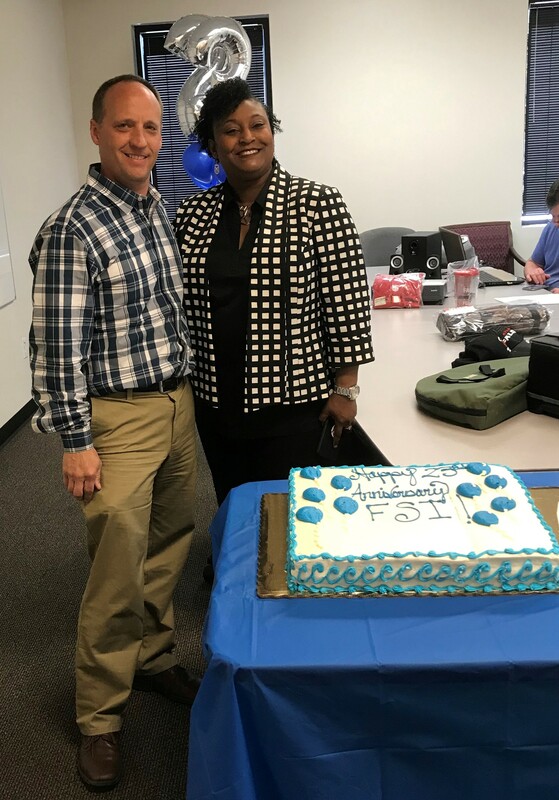 In June 2018, FSI was awarded as one of the Top 25 Small Businesses in Cobb County for the 10th Year. Their business continues to focus on helping consumer product companies, from entrepreneurs to Fortune 500 companies, get their client’s products to the individual consumers, retail locations, or team members by specializing in the inventory management, order fulfillment, subscription box management, and kitting for e-Commerce. They can be reached at 678-391-5980 or email sales@fsifulfillment.com.